Teleconferencing is rapidly becoming the primary route for businesses to communicate. One key reason is the exponential growth in remote work. Research firm, IDC, expects mobile workers will account for nearly three-quarters of the U.S. workforce by 2020. Another reason is the expansion of global outsourcing. All these phenomena are creating a new economy where distributed teams are working from different locations, all across the globe. 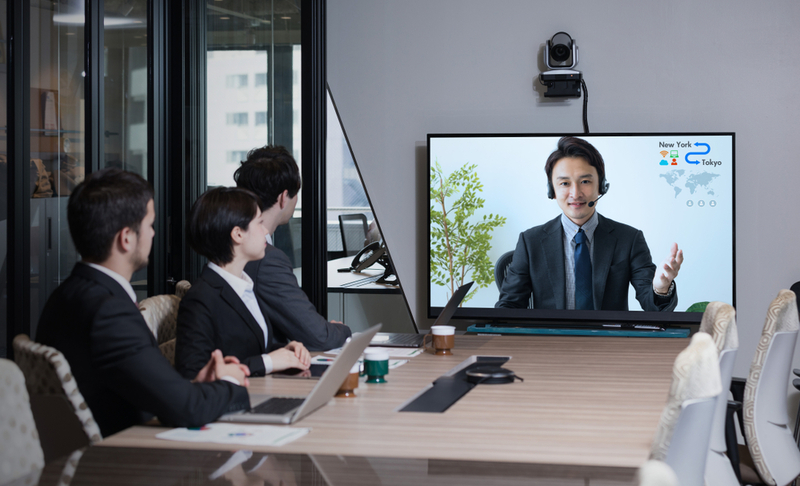 With work of most teams not being restricted to the office anymore, teleconferencing comes in handy as one of the most effective ways to collaborate with distributed teams. However, from people never being on time to discussions taking longer than necessary – there’s a substantial gap between our expectations and what a teleconference turns out to be. To many people, skipping the next one doesn’t seem like a bad idea after all. Especially for people who have been accustomed to believing that results are best-achieved face to face. 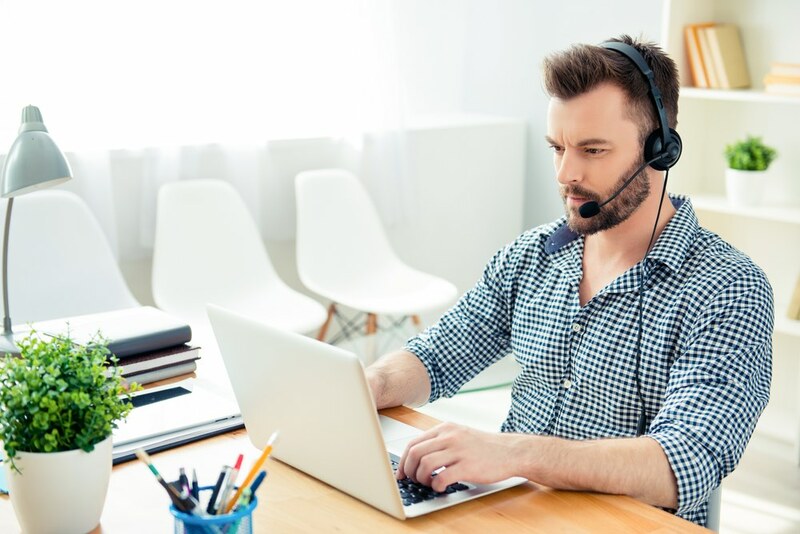 In this post, we will look at the benefits and drawbacks of teleconferencing, and then explore a few powerful tips to run highly productive calls. Then we will check out four of the most popular teleconferencing tools. Gone are those days when you would have had to travel long distances just to have a face to face discussion. With video conferencing, all you need to do is get into the nearest meeting room and dial the other person. 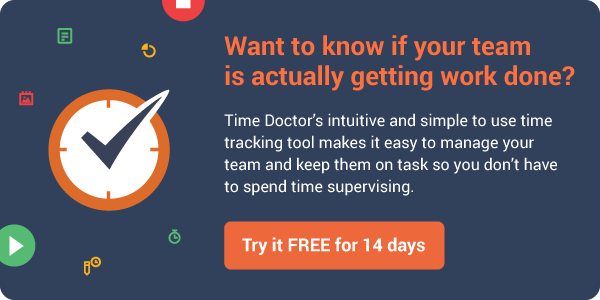 You can also connect with several long distance teams at the click of a button, allowing everyone in the team to be seen and present. This saves you a lot of commute time, which you can dedicate to other important matters. According to a study about teleconferencing, employees save 30% in travel expenses when they choose to teleconference. With your commute time saved, you can participate in more online meetings, allowing you to be more present and keep in touch with important clients. Frequent engagement with them would not only generate more trust, but would also help your company retain business and increase revenue. Sometimes prospects can be hard to catch due to their commitments. A teleconference would allow them to take the call from anywhere. It’s far easier to convince them to get on a 20 minute call than a face to face meeting. Knowledge sharing is faster and easier across distributed teams. With document sharing on the go, you have access to information all the time. And since you’re on your system, all your documents will always be handy – saving you a ton of time and effort. While there are benefits, there are no shortage of drawbacks. Sometimes you wish that you were just in a regular face to face meeting. You might be on time, but there can be delays like setting things up, Internet issues, and other people coming in late. All these stretch the duration of a teleconference way longer than what you had planned for. You’re finally set up, but noise from the background might make it difficult for everyone to focus. It might be chatter around your work desk, or music from the coffee shop that you’re working remotely from. While attending teleconferences with lots of participants, you might be clueless about exactly what is being referred to, or even who is speaking. You would have to wait for the minutes to pass in order to get the full context, see all the attachments and make sense of what was happening on the call. People might not want to interrupt and ask questions to gain clarity for fear of looking stupid. This results in a less productive call and sometimes a monologue from the host. Ever felt like saying, “Don’t hang up, I still have something to say”? Amidst the discussion, knowing how and when to put your point forth can be tough sometimes – you do not wish to disrupt the discussion, and by the time you get to say something the meeting is out of time. Consequently, you might feel that the teleconference was an hour wasted, and you would have been fine with just a few minutes of the call. There are ways to prevent all these drawbacks and put an end to dreading that upcoming teleconference. Running successful teleconferences isn’t hard, as long as you follow a few simple guidelines. We may not want to be a part of a call if we don’t know what’s going to be discussed or why it’s important. We tend to keep these engagements on our low-priority list, and mark it as “not important” in our calendars. An agenda can help with knowing your exact role in the teleconference, and prioritize it accordingly. It would also allow attendees to make necessary preparations and make the teleconference a productive one from their end. A good agenda is simple, yet comprehensive. It should broadly consist of the objective, names of attendees and the points of discussion. One way of running a teleconference is to list agenda topics as questions the team needs to answer and assign specific people to each discussion point. Allotting a specific amount of time for broad points of discussion would help everyone estimate the average length of the call and free up their calendars accordingly. You can also include access details like dialler PIN/user ID and password in the same document so that the attendees have all the details in one place. An element of surprise would not help the chances of a productive teleconference. Sharing relevant documents and links will help people prepare in advance, and give them enough context. A person who has spent time going through these documents will ask better questions, and help drive the meeting beyond the basics. All related documents should be shared along with the agenda so that attendees have enough time to review everything and put their inputs together. If you want others to respect your time, you should respect theirs. Consider this – in a teleconference of 10 people, if you were even two minutes late, you collectively wasted 20 minutes. Time is precious, be it yours or someone else’s. Schedule the teleconference in your calendar, and if there’s a chance you won’t be able to attend, be sure to inform the team. You could hope for a perfect start to the teleconference, but that’s wishful thinking. Even when you ensure everything is fine from your end, things might still go wrong. Someone’s network might be poor, the internet connection might break, a team member might have a problem figuring out the conferencing technology, or someone important might get held up at the last minute. It could take some time setting remote users up, especially when they’re new to the platform. Allocate the first 10-15 minutes of the teleconference to setting everything up. If it is a part of the agenda, then everyone would know what to expect, leaving little scope for unexpected delays. You do not want to hear a dog barking in the background when you’re trying to conduct a professional meeting. Any sudden background noise can interrupt people’s train of thought and the flow of the meeting. A busy cafe or any other noisy public space is certainly not a good option for a meeting. Even your workstation might not be the best bet if there are too many people around talking. If you’re at home, step into a separate room and shut the door. If you’re in office, step into the meeting room. If you’re a part of a video conference, it becomes all the more important to be in the right space as people can see what’s behind you! Whenever possible, wear headsets. Headset microphones will eliminate most background noise. They will help you clearly understand what is being talked about and what the other person is trying to say. If there are people who are new, it’s always a good idea to introduce yourself at the beginning of the teleconference. Knowing your name and your exact role in the company would help everyone understand your role in the discussion and ask you questions whenever required. If you’re in an audio call, then it’s vital to place a name on your voice. If there are more than five people attending the call, it’s a good idea to mention your name every time you put forth a point as everyone might not be able to get it in the first go. Why do teleconferences have to be boring? If you are part of a large distributed team reconnecting after a month, or you have new people joining the call for the first time – it’s always great to start with a good icebreaker. It could be simple things like asking them to share a fun fact about themselves or if they would be a superhero, who would they choose? To make it more fun, you can ask them to send a picture of where they are taking the call from! A little tip – an icebreaker isn’t always necessary, especially with teams that are already well-acquainted with each other. It could lead to an unprofessional start to the call and waste time. With a pre-defined agenda in place, you’re already off to a good start. But avoid extending the meeting by introducing items outside the agenda. It’s a bad habit to drag the call beyond the initially agreed duration. And if you do, it’s best to excuse participants who don’t need to be part of the extended discussion. Attendees will be effective contributors if they know what their role in the discussion is. Do they have to only listen, give inputs or be a part of the decision making? If this is not stated clearly, then it’s a black box for them – which often leads to assumptions. If a person were to think he was involved in the decision-making process while he was supposed to simply listen, then it would cause frustration. If the purpose of your teleconference is to make a decision, then the decision-making rules should be shared with the attendees in advance, before the meeting. Minutes of the meeting are an effective way to document the important points discussed in the meeting and ensure everyone’s on the same page, including those who couldn’t attend the call. However, this can be time-consuming, so many companies just prefer to record the call instead. You can reference certain minutes to time brackets – allowing the person to obtain a detailed insight into a particular point and understand how/why a decision was taken, if they feel the need to know. It is always a good practice to let anyone know beforehand when the call is being recorded. People tend to waste less time, and are more mindful of what they say. No teleconference is perfect, and it’s important that feedback is taken from all attendees to take into account any problems faced. Only then can you take active steps to resolve them before the next teleconference. It is one of the most basic prerequisites, but still, something people commonly miss out on. The quality of your Internet connectivity is never going to be constant. Always be sure to check your Internet connection 15 minutes in advance to see if it’s sufficient to support a video call. If not, it’s best to stick to audio instead. There is a difference between looking at your dark silhouette and looking at your bright smiling face. Keep a light source in front of you, not behind! You might think no one’s looking, or it doesn’t matter. But the fact is that it does! Where you are and how you’re dressed sets the tone of the meeting. You want to be taken seriously, even if you are working from home. Whenever you display a presentation with text on it, ensure that the font size is adequately large. Many people might be sharing screens or attending the teleconference on small screens. Also, don’t scroll too fast – give people time to read. There are times when you could get disconnected and might not be able to get back to using the same dial-in. It’s good to ensure you have a backup ready, just in case. Video Conferencing vs. Audio Conferencing – What should you choose? With teleconferencing, the two options you have are audio and video. The choice depends primarily on the nature of the call. There is always a non-verbal aspect to communication which is not possible during audio calls – like conveying your thoughts with gestures and facial expressions. If you’re looking to have an important, engaged conversation with your team, or with a client, then video conferencing is a good choice. All you need is a high-speed Internet connection and you’re good to go. However, if you seek convenience for yourself and your team, then you should go for audio conferencing. You can be a part of it on the go, and do not need to worry about your appearance, or where you are taking it from – as long as there is no noise in the background. Audio conferencing is suitable particularly when you need to get on a call, have a discussion, and make a quick decision with everyone in your team on the same page. And remember – Just because it’s an audio call, it doesn’t mean you can’t use visual aids. There are multiple web conferencing options which allow you to share your screen while you’re on a call, like Skype, Join.Me, Google Hangouts and Zoom. In fact, all these tools allow you to switch between audio and video with a single click. Let’s take a look at them. Google Hangouts is one of the top two tools, simply because it’s integrated with Gmail and G Suite. 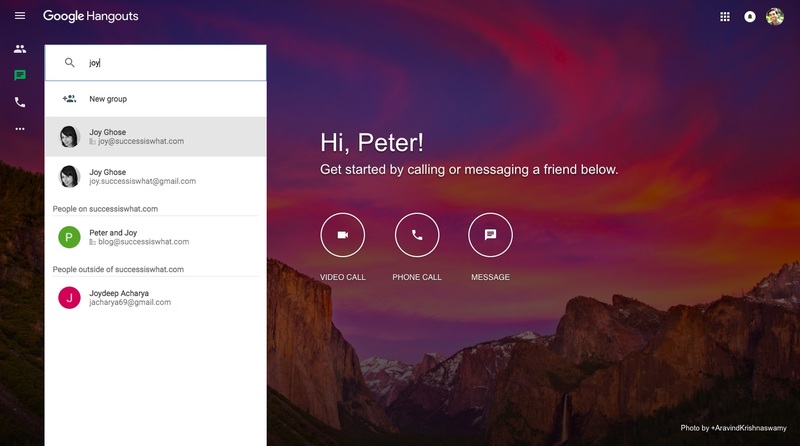 It’s not a business app, but it’s a good alternative to a platform like Skype. The fact that it is integrated with your Google Accounts and doesn’t require downloads makes it a pretty good platform to try out for business teleconferencing as well. It is browser-enabled, so nearly anyone on any browser or device can start using this service. Its intuitive nature makes it a very easy-to-use tool. Voice and video quality are also great. Also, it’s free! It’s buggy and does not allow audio call recording. Also, the video quality often deteriorates if you are hosting more than five people. Join.me is a video and audio conferencing platform which allows you to set up a meeting online using the app, with features such as whiteboarding, screen sharing, one-click scheduling, a personal link, and much more. You don’t need a credit card, just your email ID to use the free version of Join.me. If you receive the link, then there are no downloads and no waiting – you can instantly join. You can also customize the meeting link and the meeting background. If you’re on an iPhone or iPad, you can use the whiteboard to sketch out ideas and proposals. The free plan can just host three people. If you have never used join.me before, it’s not too user-friendly to navigate. 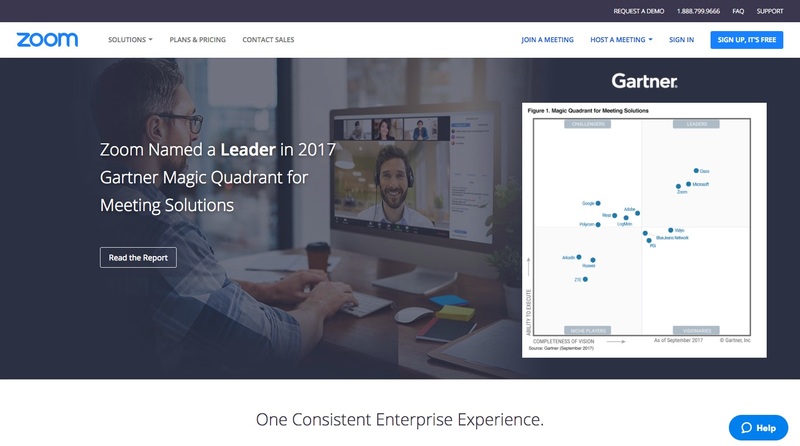 Zoom is a teleconferencing platform with features like call recordings, meetings, video webinar, zoom rooms, business IM, and a Developer Platform to empower your apps with video, voice and screen sharing. The biggest advantage of Zoom is the ability to easily record calls. 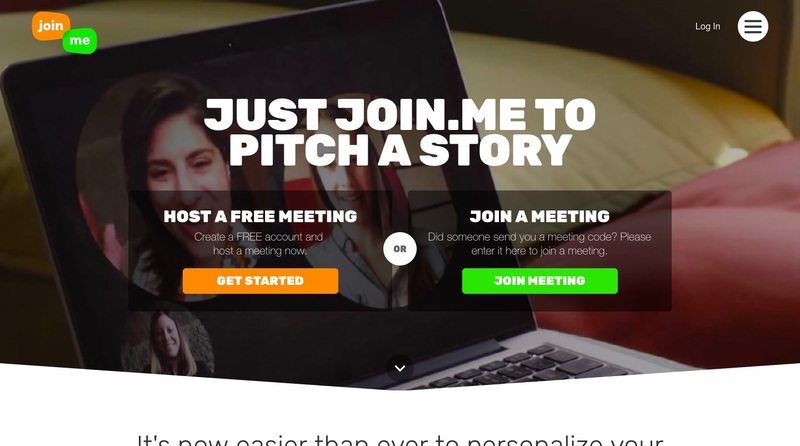 You can join meetings for free, and the platform is relatively easy to use. Screen sharing between the presenter and the guest is very simple. Participants can Instant Message during conferencing. In the free version, if there are 3 to 100 people in a meeting, then the meeting automatically ends after 40 minutes. You have to purchase the pro plan for unlimited minutes, along with other features like reporting, custom personal email ID, Zoom Rooms, Zoom Video Webinar and Premium Audio. 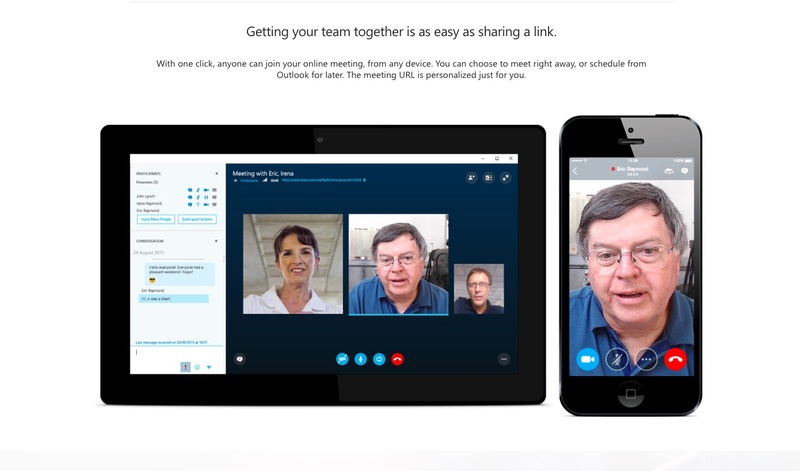 Skype for business is a teleconferencing solution for businesses, and is quite different from Skype (free one-on-one video/audio conversations) and Skype Meetings (up to 3 people in an audio/video conference for free). It allows up to 250 participants and enterprise-grade security. It comes along with MS Office apps, and is priced at $2 per user, per month. It is a good app when working from a business domain, and allows employees to be connected to each other. You can see when your contact is online, available, unavailable or offline. It can be used anywhere with an Internet connection on many types of devices, and the screen sharing and document sharing features are very easy to use. Users can record meetings easily, and if you miss out on an Instant Message, it gets delivered to you as an email. There is no free trial available. You must pay more for additional features. For placing phone calls, you would need to set up a phone number and pay extra. There is an additional fee for Non-MS Office users as well. 247meeting Mobile is a conference call app for businesses and mobile professionals. The app enables users to hold an instant conference call on the go, without the need for a dial-in number, a pin code. It allows up to 100 participants and offers enterprise-grade confidentiality. 247meeting also provides screen sharing and video conferencing solutions. 247meeting Mobile is good for any business owner, C-level officer, or Salesperson who is always on the move meeting clients and business partners. It also suits high-profile managers, law firms and HR professionals concerned about someone eavesdropping on their confidential calls. The app offers the host more control over their call, by showing them at any moment who is participating, who is making noise on a line, mute or unmute them and even record the meeting. The app relies only on the telephone network. There are no screen sharing or video options. Teleconferences are inseparable from business in today’s world because teams are becoming more globally distributed every single day. However, they can take up excessive time and energy if not organized and conducted well. These few tips that we just went over will make it easy for you to run productive online meetings. Do you have any more tips that have worked for you? Let us know in the comments section below!